This page is continuously updated to bring you the best butterfly garden resources available to make your monarch oasis a fly-away success! 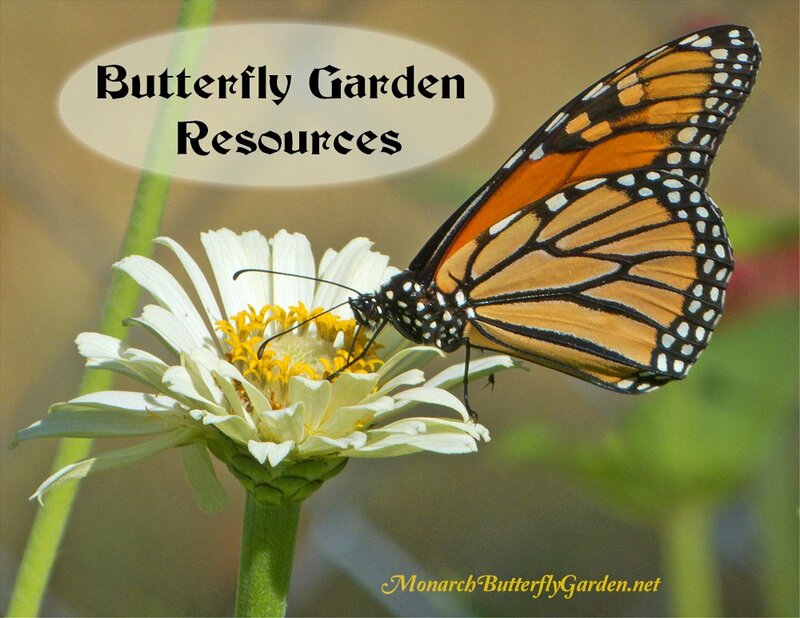 These butterfly garden resources are some of the tools that can help you achieve greater success with your butterfly garden. 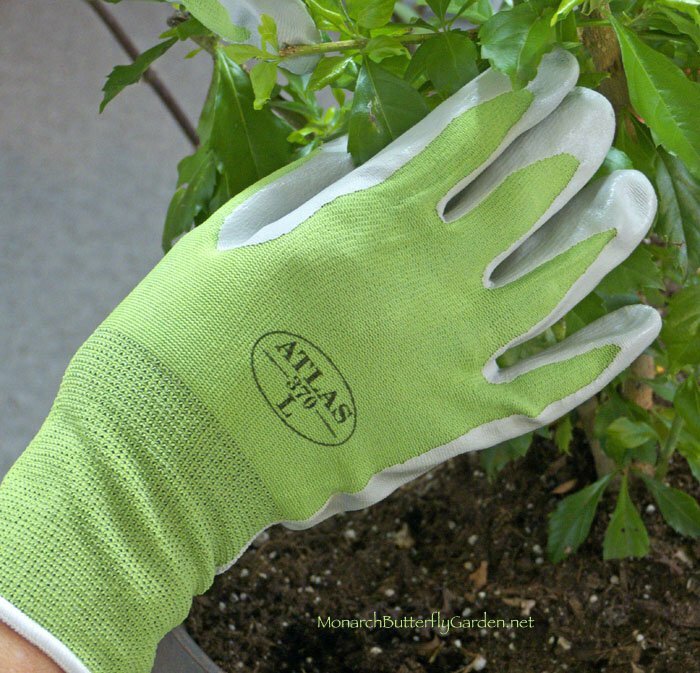 I personally use these and they are my favorite gardening gloves because they’re thin and they dry out fast. Buy 4 or more pairs for best pricing. 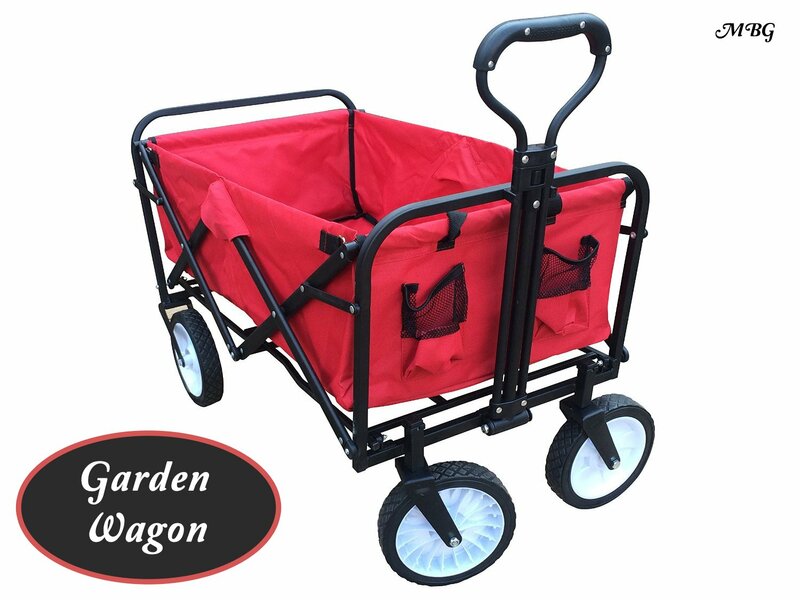 Collapsible garden wagons comes in a wide variety of colors and are an excellent garden tool for moving plants and other garden supplies around your yard. It also comes in handy for plant sales. The tires are rubber so you’ll never go flat. To add a second shelf to the wagon to hold boxes with more plants, measure your wagon from front to back and then space out 4-6 bungee cords with hooks across it. Every gardener needs a good set of pruning shears for plant care (or to take stem cuttings) throughout the year. There are lots of 4-5 star consumer rated pruning shears to choose from. Use these handy clips with stakes to keep tall plant stalks from flopping over, allowing you to better see butterfly visitors in the garden. We use these on our liatris plants. Rabbits Stealing your Butterfly Garden Goodies? It’s frustrating when you put so much hard work into the garden only to have it decimated by destructive pests. Most small insects are tolerable, but rabbits and deer can take the destruction to a whole new level…did I mention they both eat milkweed?! A one-and-done solution for keeping out those pesky rabbits. Galvanized steel is also resistant to rusting. How to Attract More Monarchs to your Butterfly Garden…and Keep Them There! Find nectar plants and host plants (besides milkweed) for your butterfly garden. There are many varieties of milkweed you can plant to attract monarchs. Check out 25+ garden variety options. A natural extension of gardening to attract monarchs is raising monarchs to release in your butterfly garden. It’s an amazing and awe inspiring activity that you can experience inside your home, or in a 3-season porch! Get first hand gardening tips and planting info from experts in your region. Container Gardening allows you to break up your garden and put pots in places that are more convenient like on a patio or the edge of a raised bed. You can also raise monarch caterpillars on potted plants. Choose from a variety of attractive and functional planters to make a statement in your garden. Container plants also give you the option to rearrange your garden during the season. Coco Coir is a multipurpose growing media alternative to using peat moss, sphagnum moss, or rock wool. It has a high water holding/retention capacity and high air filled porosity that extends your soil supply. Coconut coir is beneficial for plants and earthworms, without harming the environment. Mix this in with all-purpose potting soil. We’ve used many potting soils over the years and they’ve all worked pretty well. There are many good soil options at local nurseries and big box stores. Improve the soil quality in your garden by adding pre-mixed compost or make your own with a composting bin. 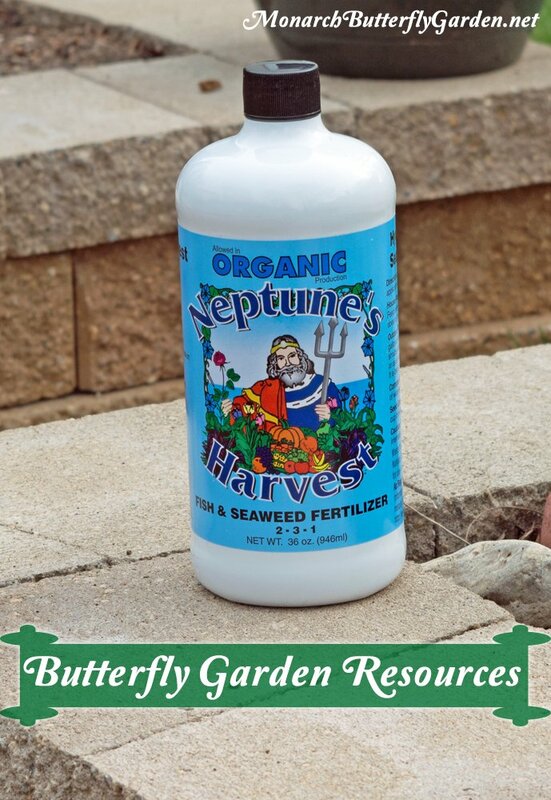 This year we’re using a combination fish/seaweed fertilizer by Neptune to promote healthy foliage and flowering. I was apprehensive about the potential fish-smell, but the subtle odor dissipates quickly after being applied. We’ve used this the past couple seasons and had great results on milkweed and other garden plants. We will continue to use this growing forward. Some gardeners also use an all-purpose slow release fertilizer that continuously feeds plants nutrients throughout the season. The advantage to continuous, slow-release plant food is that you don’t have to apply it on a weekly basis. 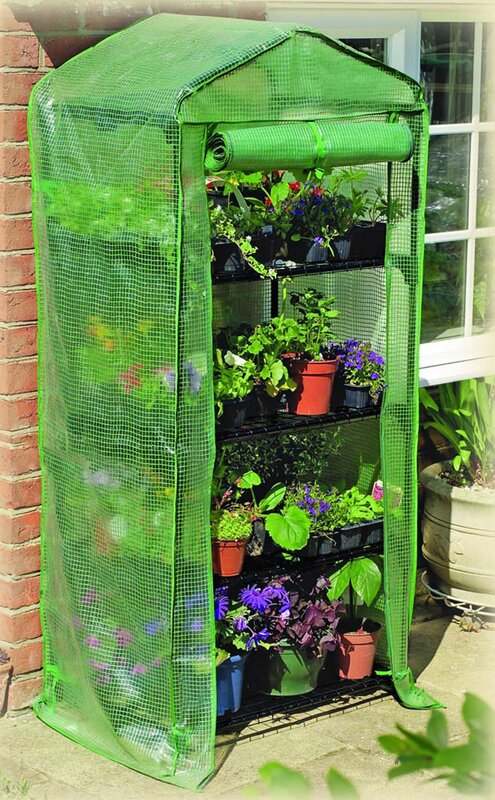 Vertical Gardening takes your butterfly garden to new heights, maximizing your available space. Arbors and trellises are popular structures for vertical gardens, but you can also start by using a fence. A variety of stylish, high-quality arbors for unwavering butterfly vine support. Most of these include free shipping, as do the trellises below. We utilize 3 trellises in our garden to extend our garden borders north. 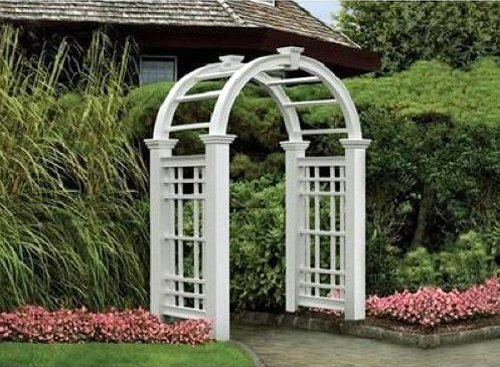 Choose from a large assortment of quality garden trellises at affordable prices. Hang these convenient planters directly on your fence, patio, or balcony. 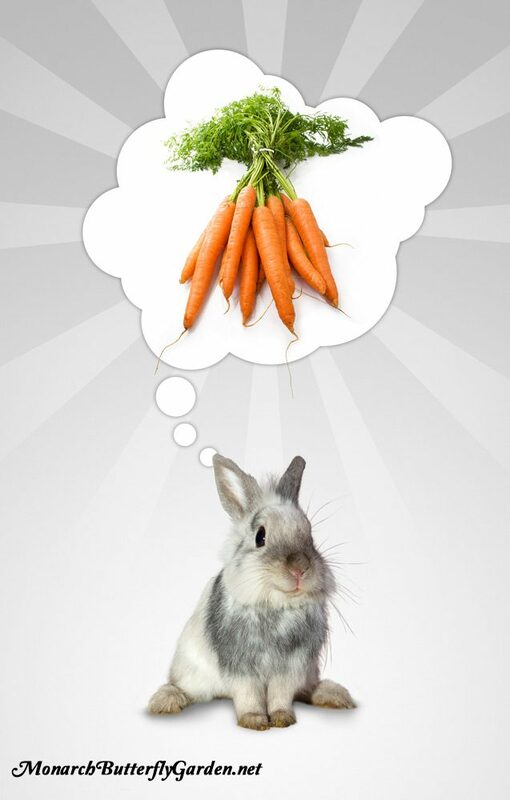 Are there plants you don’t grow because of rabbits? These planters make Bugs & friends a non-issue! Water is an essential component of butterfly garden success…and in more ways than you might think. Of course, you need water for healthy butterfly garden plants. But water is also a resource that can help you attract and sustain more butterflies. Fogging Mister System for Hot Butterflies…and You! Butterflies love to keep cool during the dog days of summer…so do birds and people! In the hottest summer months the butterflies follow me around the yard when I spray down plants. They actually go through the sprinkler! Since it’s wasteful to water during the day (much of the water evaporates because of the hot sun) I had an idea. 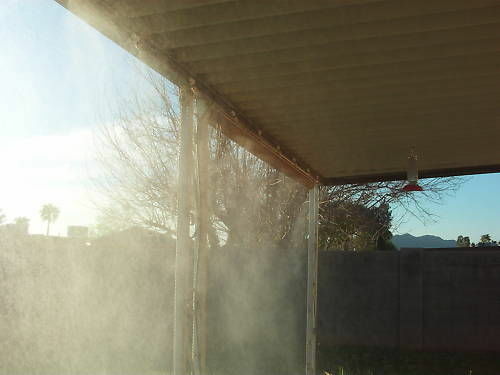 A misting system only uses a fraction of the water a sprinkler does. It can cool down butterflies, your pets, and you without getting everyone sopping wet. The 25 foot system should suffice if you are doing this for just the butterflies. A rain barrel makes a fine addition to the butterfly garden and can add beauty along with an extra water source to keep your plants happy. You can find a much wider selection of these online than you can locally. Many rain barrels are affordably prices with free shipping to your home. Starting seeds indoors is good for the soul…and your bank account! I start seeds for plants that aren’t readily available in our region and also for plants that need more time to reach full maturity. A good seed starting kit provides all the tools you will need to get your seeds to start growing for the new season. Once I introduced this to the seed-starting process, our seeds sprouted faster and it also increased the germination rate…a must-have for more efficient seed starting. A disposable alternative to the nursery pots listed above. Make 3 small drainage holes in the bottom of each cup. It’s important to use a soil that holds moisture and contains small enough particles so that root growth is not impeded. A convenient way to give your plants the humid environment they need to grow and the shelves give you more space for plants. This is the type of light your seedlings need to grow and thrive when they’re growing inside in the dead of winter. 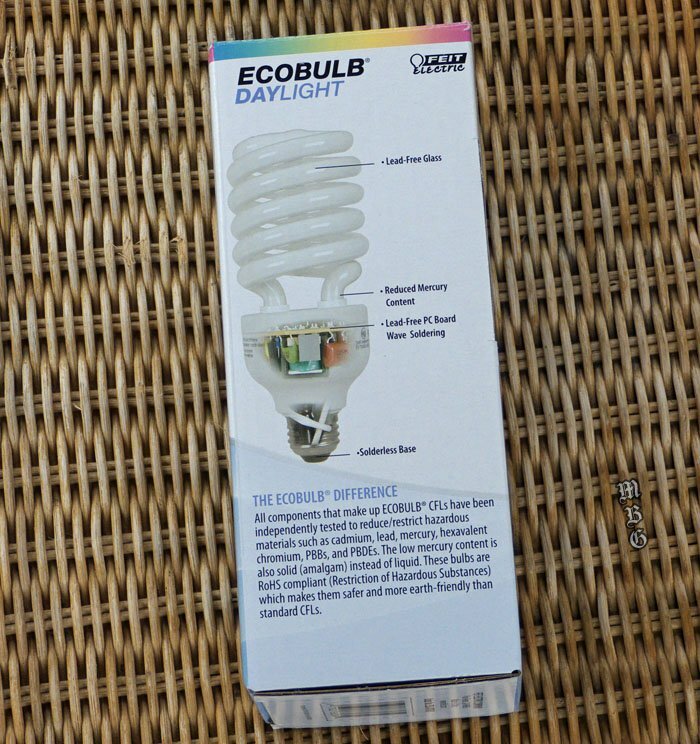 Compact fluorescent grow lights are an easy lighting solution for most because many of these lights fit in standard home sockets. For more powerful lights, there are socket adapters or the T5 lights listed above. These are a great option for overwintering mature plants. Seedlings tend to grow tall, spindly and can easily break. You can strengthen yours by keeping a light breeze on them similar to what they’d experience outdoors. Clip on fans are a good option because you can attach them to shelving, furniture, or just place them on a table near your plants. 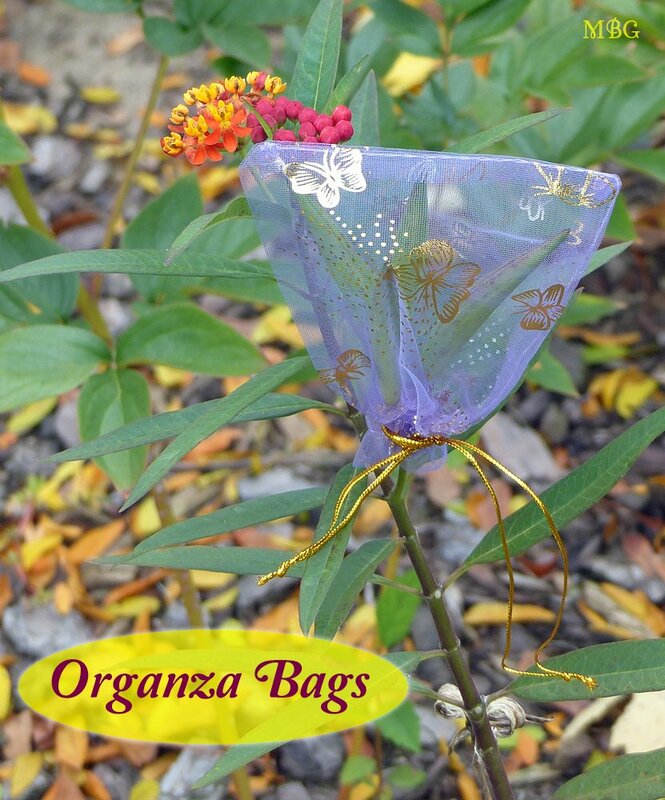 Tie these small bags around milkweed pods in the fall so seeds don’t blow away before you can harvest them. 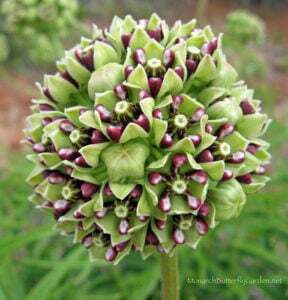 These attractive seed savers also make excellent gift bags for milkweed seed gifts. Starting new plants with cuttings has two main advantages. 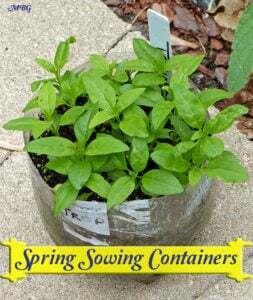 Cuttings grow faster than seedlings and they are much sturdier when you plant them outside in spring. Cuttings are an excellent way to start tropical milkweed plants. I had tried a more elaborate plant cloning system but I switched back to my simple system because it was more successful. The only non-household item I use to root cuttings is a '); // ]]>to place the cuttings containers on. Check out my step-by-step process for rooting milkweed cuttings here. Once your cuttings have rooted, use the same plant pot and lighting resources listed above in the seed starting section. Once you’ve got your garden planted, it’s time to put some personal touches on it that make it decidedly yours…and the butterflies! Butterfly Signs and flags are emerging in popularity and there are many to choose from to fit your personal garden style. 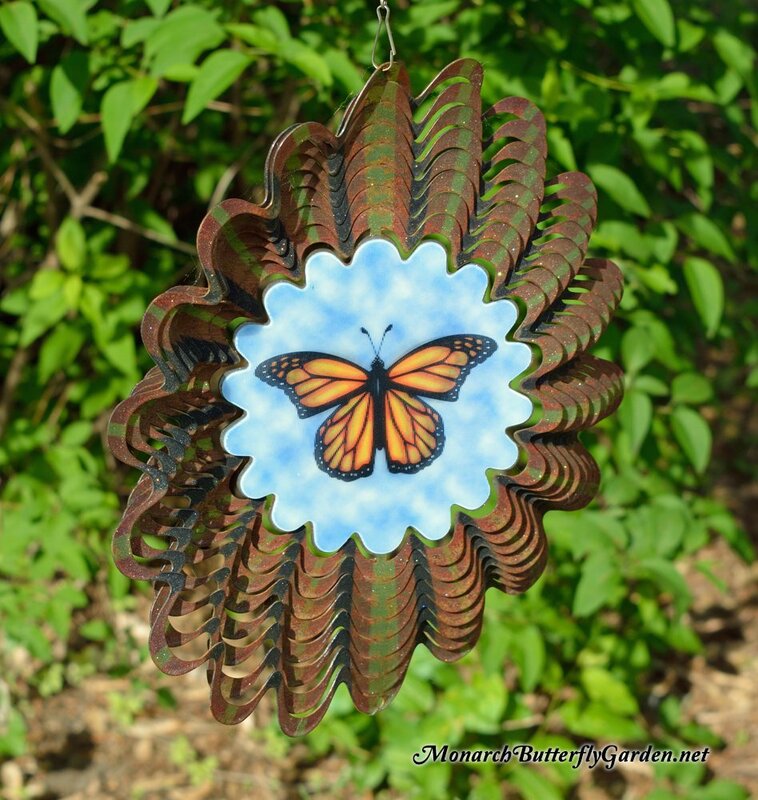 This holographic butterfly spinner is actually in our garden. I love when it blows in the wind because the monarch butterfly appears to be flying. I’ve actually seen monarchs flying by the sign before and one even landed on it. Do they actually recognize it as a butterfly?? 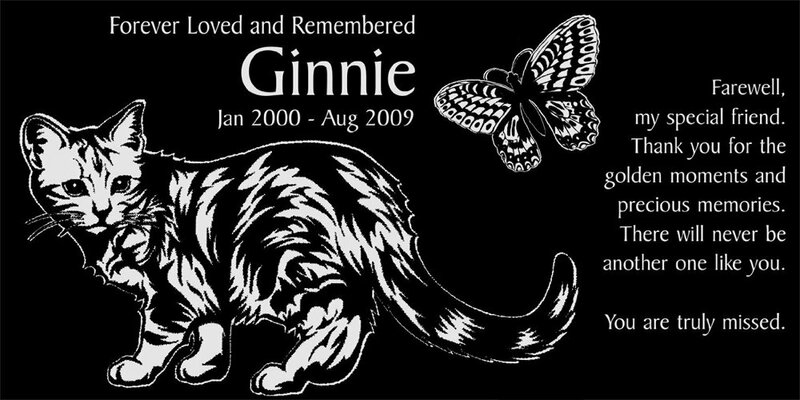 Many butterfly gardens are created as lasting tributes to someone special that is no longer with us including parents, military members who made the ultimate sacrifice, and children that have left this earth far too soon. I just started a butterfly garden! I want to now add some milkweed plants. In Michigan on our way to the beach I found some common milkweed along the road. Can I plant this in the garden or should I stick with store bought milkweed? I’m new to your site.. Great pages!! Two years ago, I was able to raise and release 14 Monarchs. My very first attempt at this. Beginners luck I guess. Last summer was a bust – Only saw two butterflies all season. This year has been a bit better; with four sightings. The latest being this morning with one lone butterfly scouting out the Milkweed. It hung around around for almost two hours, going from plant to plant and I thought; YES! this is it… Eggs in my basket!! I waited a few hours for the eggs to dry before checking the plants that were visited; but sadly, I did not find one egg. and look almost like ladybugs…but longer and fewer spots! My garden—essentially the entire back yard—is too big to surround with rabbit fencing. Fortunately, rabbits are creatures of habit, especially when chased by the neighbor’s dog. The spot in the fence where they came into my yard was a well-worn path, so I put a live trap there and let the dog chase them in. Didn’t have a problem with rabbits eating dandelions until one day they mowed down a clump of New England Asters. Now momma and baby rabbit live far away from my garden. Hi Steve, we actually put rabbit fencing around the bottom of our entire back yard fence. I always thought it was too much effort until I saw the results. Now I wish we would have done it years ago! I still see rabbits at the edge of the fencing because there is clover growing up against it…I’m hoping that will satisfy their hunger and stop them from getting any digging ideas! Hi.. I have recently planted some tropical milkweed and have slowly been planting butterfly and bee plants throughout my garden. It looks like my milkweed is just about ready to start blooming so I’m anxious to see what it will be attracting. Anyway, once per month, I make a homemade fertilizer/snail killer concoction and spray my entire yard that consists of Epsom Salts, Dish Washing Liquid, Mouth Wash and Ammonia. My plants love this but now I am worried about killing the catz. What is your opinion? Hi Stefanie, that’s one homemade concoction I’m not familiar with. I don’t know if your mixture would have any negative affects on caterpillar health. You could try testing it out on a milkweed plant or just avoid using it on milkweed. good luck! Thank you. I did a little more digging and I’m going to start omitting the Ammonia and I will make sure to aim the mix at the dirt more than the plants. You mention organic pesticide for milkweed plants- wouldn’t that be harmful to monarch caterpillars? 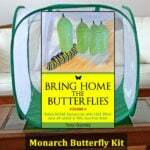 Hi, I didn’t seem to find anything here about breeding Monarchs in netted houses. Could you write something about that? My plan was to buy such a house next year, fill it with milkweed and nectar flowers and then purchase the caterpillars as we don’t have many Monarchs in this area. I would purchase them at an appropriate time as early as possible (I am not sure when that is. I am in the 43rd latitude at about 1,000 feet elevation) and let them go through their breeding stages until it is time for them to fly south. I am not sure if this is good though because they are migrators and by raising them in captivity I am preventing this cycle. What do you think? 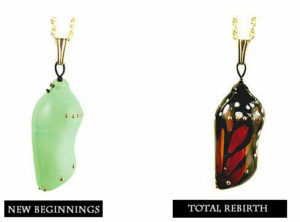 Where to buy monarch butterflies? One big mistake I made last Fall was planting milkweed & nectar seeds then putting some straw over them to keep from blowing around. This Spring was shocked to see rye growing everywhere. Asked local master gardeners & they said best not to use straw as seed cover never know what could be in it but fine to use it around full size plants. Pulled out all the rye & replaced it with some grown plants. Fortunately, have tropical milkweed in containers for caterpillars that I’ve purchased online. Haven’t seen any monarchs here in western NC, yet. Hi Sharen, that’s interesting about the rye….what an unpleasant surprise. We typically mulch with fall leaves. Hope you see some monarchs soon! I have the same problems with the rabbits. They have been eating my swamp milkweed and common milkweed that I just planted this year so they are smaller. Also my sunflowers . Live in northers Illinois and have not seen many butterflies. Found a few cats and ordered some online. I feel your pain Judy…we gave up on sunflowers after last season. Once the rabbit fencing is up, I am going to try again! 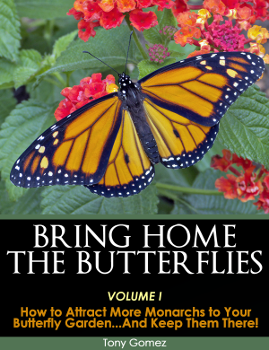 Hi Erna, I posted an article for gardeners new to butterfly gardening, to help them get started. Let me know if you have any more questions after reading this. Good luck!